LRC is a nonprofit organization that caters to the community through visual art, art therapy, and education. Our organization was founded based on the responsibility to bridge community outreach and diversity inclusion into the field of art. Together, we lead community-based art initiatives across the Carolinas in hopes to bridge more color, creativity, and inspiration into our environment. In collaboration with the Charlotte Knights Foundation, Historic West End, Mosaic Live, League of Creative Interventionists Fellow, Janelle Dunlap and artist, Sloane Siobhan this revitalization project focused on creatively reactivating space to encourage ethical redevelopment of vacant space. Embracing the vision of Afrofuturism, the goal of this project is to inspire the future presence of this historically black community while it is undergoing rapid gentrification. 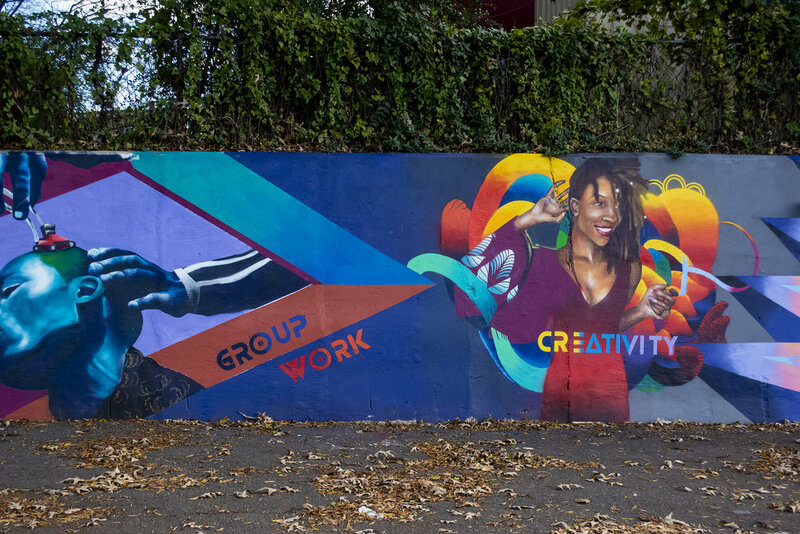 Manifest Future is an interactive community mural project that intends to influence and cultivate socio-economic mixing, community reinvestment and communal collaboration. 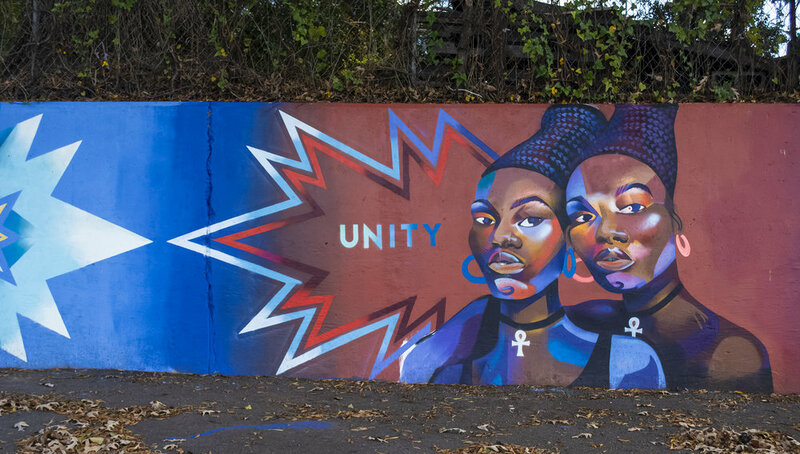 Talking Walls is a citywide, annual public art and mural festival bringing together artists with diverse styles & backgrounds from all over the Americas. With community support, we showcased Charlotte as a creative hub and a city that supports and welcomes artistic influencers in a highly visible way. 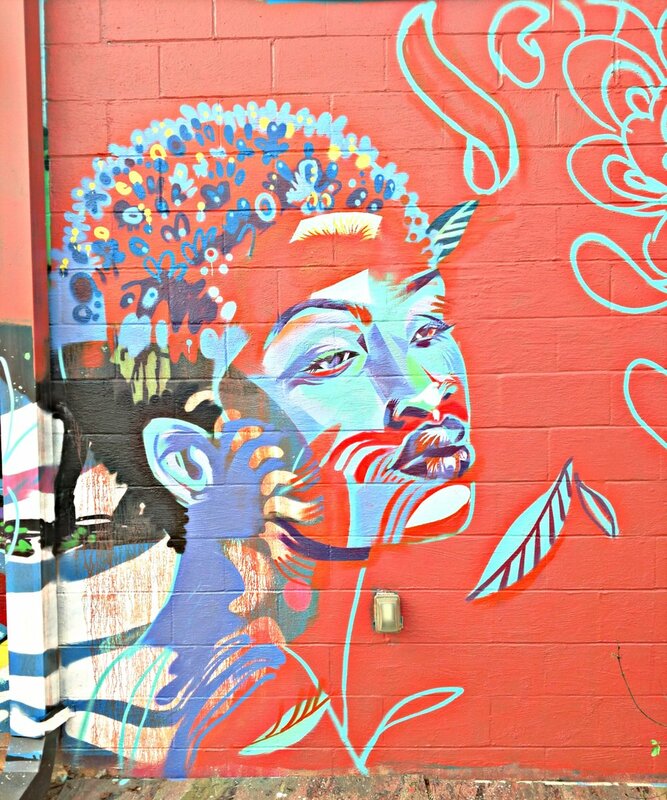 In its inaugural year, LRC played a role in sponsorship while also delivering a mural on Central Ave.
To learn more about the artists that made the art come alive, dive into this article at here! Open Streets 704 is a commitment to building community on a Sunday afternoon. Their goal is to get people to fall in love with walking and biking again, so they’ll consider doing it as a part of their everyday routine. Most of all Open Streets 704 is about FUN! It’s a way to reclaim our streets for people of all ages to play, explore, and enjoy the Queen City. This year LRC provided a community delivered mural design for participants of all ages to join in on the creative process. This mural was less about creating the “perfect” painting and more about sharing the paint brush as a tool that’s inclusive for the community. If you’re interested in getting involved next year, learn more about Open Street here!